Mecho Tales wears its inspirations on its sleeve. Under most circumstances this means a developer is able to take away familiar and comforting concepts and design decisions and meld them with their own ideas to give us something unique. 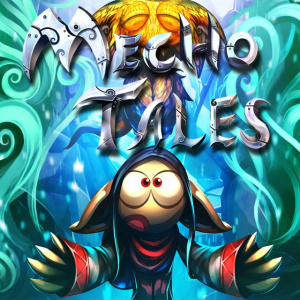 Sadly in this case, while many bits and pieces were bolted together and obviously feel like they were lifted from a different game, they are too disparate to feel cohesive, which in turn means Mecho Tales as whole isn’t greater than its parts. Most of the time you’ll just pine for the parts. 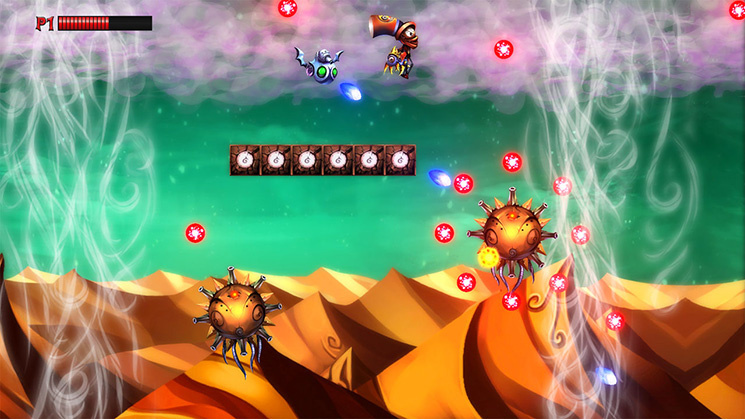 Based in the same world as Eternity’s Child and Mecho Wars, Mecho Tales is an obscenely colourful platforming/shooting hybrid that echoes Rayman and Mega Man. The gist of the game is like any other platformer: make it from point A to point B in a collection of stages with intermittent boss battles for good measure. Each level is broken up into chunks, accentuated by watching your character transition between them in an eerily familiar slow-motion manoeuvre. The blue bomber references don’t end there; one-hit killing spikes, tough checkpoints and pattern-based disappearing/reappearing blocks are the order of the day. 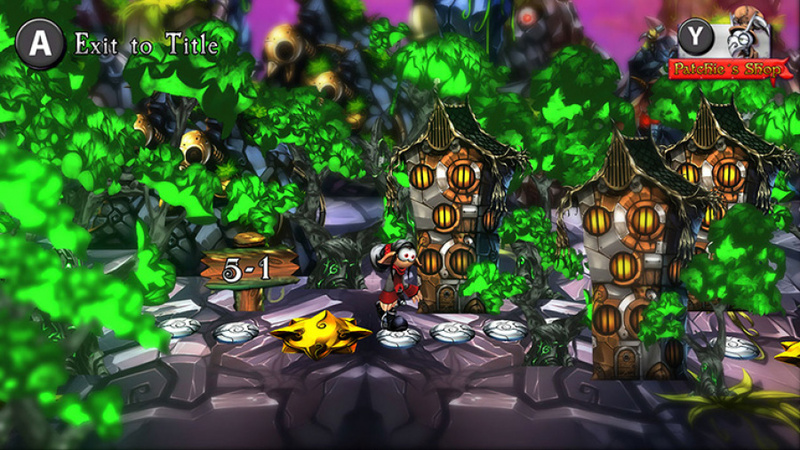 Whereas Capcom’s classics took these designs and made thematic worlds based around robot masters, Mecho Tales' stages feel like a dull assemblage of blocks thrown together on a neon-soaked background. It’s very rudimentary and uninteresting, which in turn makes the areas you run through unmemorable. Your protagonist’s main hook is that they can shoot in any direction with the right analog stick whilst jumping around. They are outfitted with a little mechanical companion akin to the mags from Phantasy Star Online who do all the fighting for you. While neat in theory, there are a few caveats that keep it from being something memorable. With your attacks stemming from directional shooting, jumping is relegated to the ZR button, which never feels natural. In the heat of battle this can be especially frustrating as trying to hop around while blasting the ever-encroaching hoard of foes can sometimes feel like trying to rub your tummy and pat your head at the same time. The other issue is that while you can collect doodads that you can then spend on newer mags (er, robot companions) they never seem worth the effort to earn. There’s a little bit of variety here, but for the most part you’ll sacrifice distance for power, and you’ll often find yourself preferring to snipe from a distance before you hit the enemy's radar than trying to tackle things from up close. 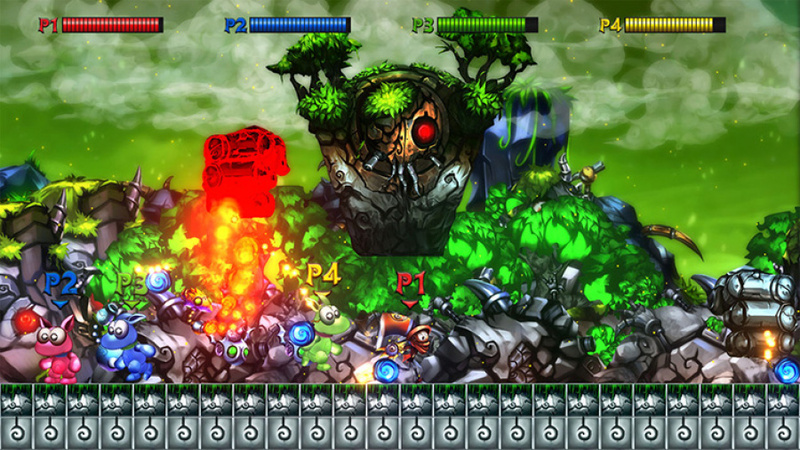 Beyond the obvious goal of completing levels, this is meant to be the impetus for playing. Unfortunately, its half-baked usefulness makes it a not very compelling reason to keep doing so. To go along with the boring stages and low-key combat system there's an assortment of challenges that are equally as staid. Your opposition is a little over-designed visually, and under-designed structurally. The almost all attack in a pattern that can be easily read, with the challenge then coming from the sheer number of baddies coming at you at any given time. This in turn makes deaths feel cheap, further adding to the frustration of potentially having to start from the beginning of the stage again. Add to this bosses with the same ideologies, only with the ability to absorb a ton of hits, and you have a game that can oftentimes be more aggravating than enjoyable. If there is a saving grace to Mecho Tales, it’s that you can play it with three other people. It has the potential to be fun, if only in that “misery loves company” kind of way. It’s chaotic both in the way the game plays and in your inability to focus on what’s going on, but at the very least it’s worth a laugh or two. It’s by no means a reason to play the game, but it does make the whole experience palpable to those that find themselves in Mecho Tales' company. 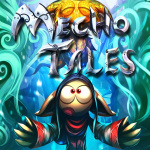 While Mecho Tales looks to be a loving homage at first blush, upon further inspection that it’s actually just aping its inspirations instead of integrating them into something refreshing or new. The presentation lacks personality and charm, the level design is rote and arbitrary and controlling your given protagonist never clicks. Despite the intricate visuals and unusual design, there’s nothing on offer here that is genuinely compelling from a gameplay perspective. Looks day 1 to me! Wow, with a design aesthetic and color palette straight out of the early 90's, one has to ask if they've even seen any run and gun games since then. Have they even seen their competition in the genre? Twin stick side-scrolling does not work, pure color values in your palette no longer work, platforms made out of single tiles that dont blend have never worked, and bullet spongy bosses with no other gimmick or twist is just a nail in the coffin. Wow, there's a lot going on in these screenshots. Too much muchness. The screenshots hurt my eyes. I think it's safe to skip this one. They made all the colors way too saturated in this, everything is very harsh and there is no subtlety. It's hard to look at to be honest. If I read that conclusion without seeing the score I would have assumed a 3 or even a 2. Still, 4 is pretty low for a review on this site. But jumping with ZL alone would annoy the crap out of me. When I saw the protagonist I imediately thought: Remember that developer they reported about on this site time and time again? The one with the 1 million ideas, but has yet to release a truly great game? Yeaaaaaahhhh, I remember! The game's typical price has been reduced to a paltry 99 cents. I got it on sale for 75. It's a decent little budget game with a lovely soundtrack. The visuals seem divisive, but I enjoyed them. 7/10 here.